George Evan Olsen IV is a Fine Artist specializing in pastel, charcoal and oil portraits. He currently lives in Arlington, Texas. He teaches private art classes to students of all ages. 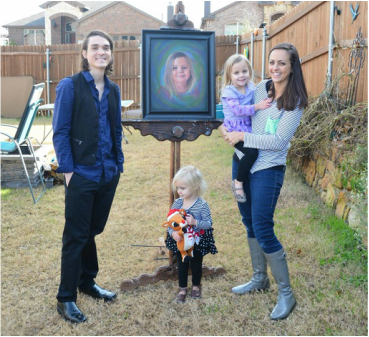 He also volunteers as an art teacher at Mental Health America, Tarrant County, as well as at Lake Ridge High School. He has been featured in galleries such as the Fort Worth Community Art Center, Bedford Central Arts Gallery, as well as public and private residential art shows. He has a Bachelors in Fine Arts and a 2D animation degree. He is currently taking commissions on portraits. Please see the Rates option on the menu. Please send an email with your name and impression along with interest in commissions of Evan's portraiture artwork. Thank you for your support!